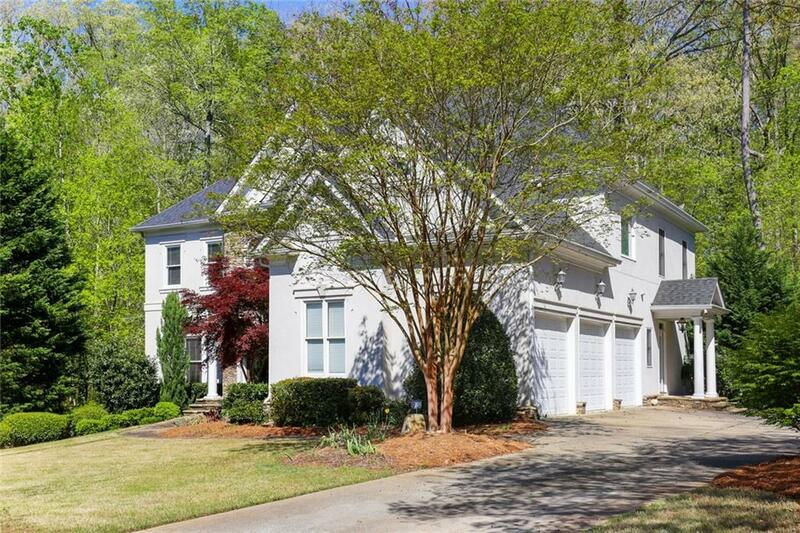 Custom-built 5BR home w/full unfin bsmt in swim/tennis community! High quality build, excellent, floor plan w/ 10' ceilings. Bright spacious kitchen, Subzero fridge, KitchenAid double ovens, walk-in pantry and eat-in breakfast area. Oversized master suite with sitting area w/ f/p and 3 addt'l bedrooms upstairs. Main floor office, guest suite & large dining room. Full unfinished basement w/ high ceilings opens to level backyard. New roof and new HVAC.Walk to Chattahoochee Nat'l Rec Area, short commute to S. Springs.